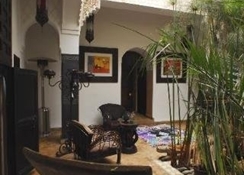 The luxurious Riad Taachchaqa is a delightful riad ideally located right in the heart of the ancient medina district, just a short journey from any number of the most popular attractions in the city including the atmospheric Jemaa El Fna Square where snake charmers enchant visitors, the Bahia Palace and the Palais Des Congres to name but a few. 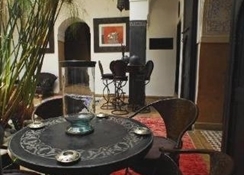 Located within a traditional Moroccan riad building, the Taachchaqa features a stunning patio area for guests to relax in, plus there is also a delightful open-air roof terrace where guests can soak in the African sun by day and star gaze by night. 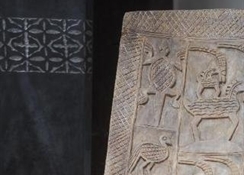 There is also a traditional hammam offering a range of services for those seeking to relax and unwind fully. 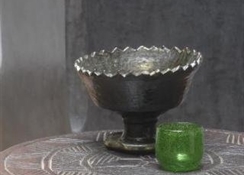 For dining there is a restaurant serving a range of traditional Moroccan cuisine for guests to enjoy, and meals can be taken in the Berber tent on the roof. Each of the rooms are lavishly decorated in a traditional Moroccan style and updated with modern amenities including air-conditioning, private ensuite, high quality bedding and Wi-Fi connectivity. 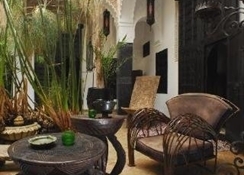 The Riad Taachchaqa is a guesthouse ideally suited to those seeking a luxurious stay right in the medina area of the city, offering a truly Moroccan experience. There is a massage room for guests to use, plus a roof top terrace for sunbathing and relaxing on. Each of the rooms are lavishly decorated in a traditional Moroccan style and updated with modern amenities including air-conditioning, private ensuite, high quality bedding and Wi-Fi connectivity. Certain amenities may be payable locally. 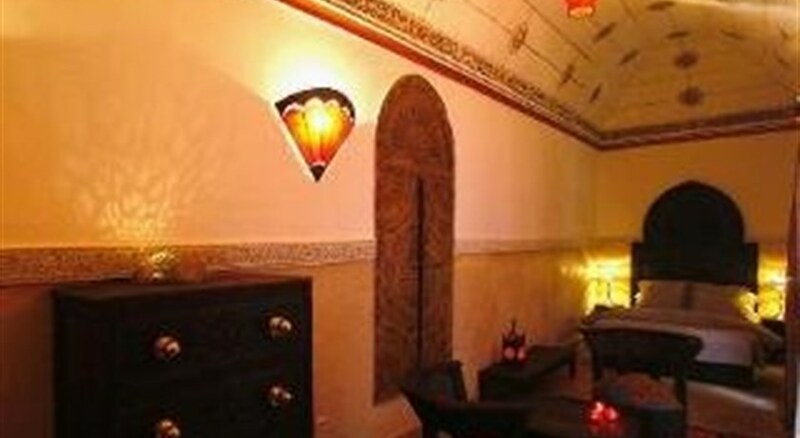 The hotel features a restaurant serving a range of Moroccan cuisine on request for guests to enjoy.